Thule developed this streamlined Legend GoPro® Backpack with integrated mounts to capture your adventure from multiple angles. A crushproof, padded compartment holds up to 3 GoPro® cameras and additional equipment while in action, transit, or storage. Let's face it. With one camera you are simply shooting POV. Thule developed this streamlined Legend GoPro® Backpack with integrated mounts to capture your adventure from multiple angles. 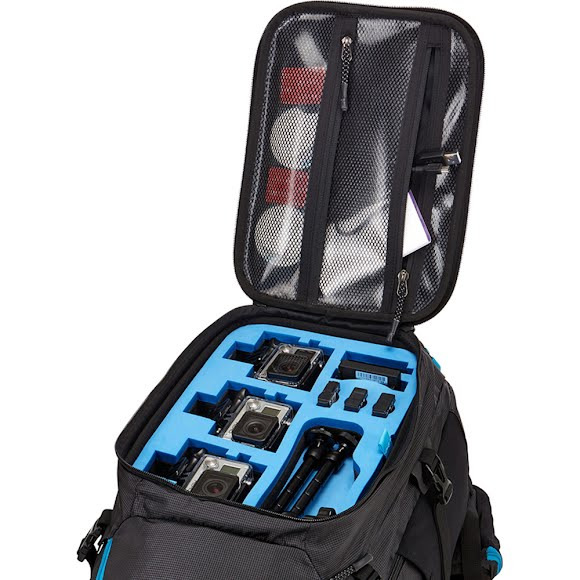 A crushproof, padded compartment holds up to 3 GoPro® cameras and additional equipment while in action, transit, or storage. Let&apos;s face it. With one camera you are simply shooting POV. With three cameras you can bring your subject to life, and into the living rooms of your audience.